I'm linking up again with Catherine at The Brown Bag Teacher for our summer book study, Reading in the Wild by Donalyn Miller. (If you haven't read her first book, The Book Whisperer, it's a must-read!) This week we're focusing on Chapter 4, Wild Readers Have Reading Plans. To learn more about my students as readers, we (me included) will all take the Wild Reader Survey. As I was revising my old beginning of the year survey with Ms. Miller’s sample, I was surprised (& impressed) with the questions she asked. My goal is to get my students to the level where sharing and anticipating books is a given! You can download a copy of my Wild Reader Survey here. Having students keep track of their reading without it becoming too cumbersome has always been a chore! Catherine at The Brown Bag Teacher has some fantastic materials for reader recording & reflection! In the past, I’ve had my students keep an “I’d Rather Read” weekly log as an ongoing homework assignment. Click here to download a copy. Although it worked with quite a few classes, I abandoned the form a few years ago since my current students did not seem to keep up or buy in to it. (It definitely was not fostering a LOVE for reading!) This year, my students will be keeping a reading log (spiral notebook) that allows for reflection and discussion and their plan: a running list of books to read. They’ll glue instructions for the log on the inside front cover. You can get a copy here. 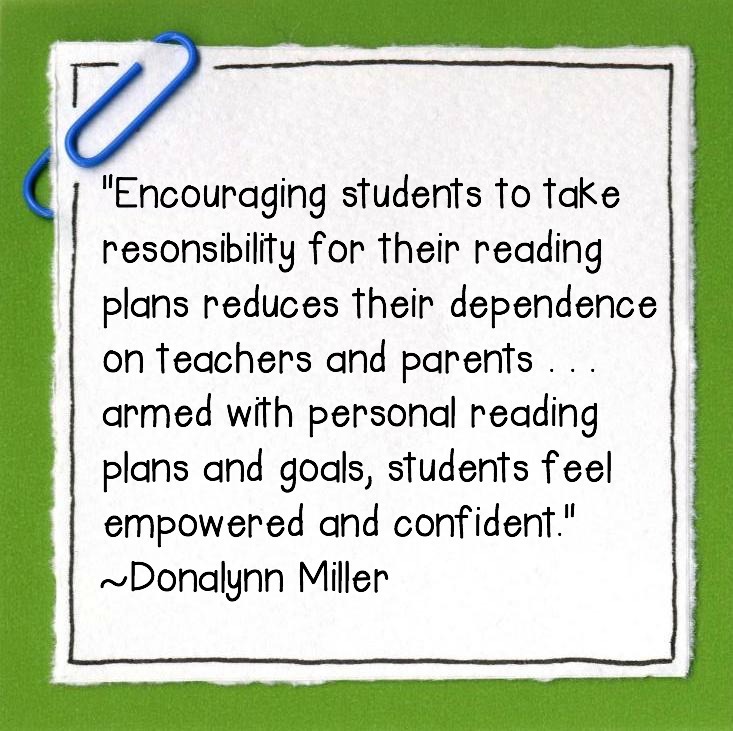 How will your students make a reading plan this year? I'd love to hear from you!